As director of Adelphi’s autism certificate programs, Dr. Antony is an experienced educator who specializes in working with children with disabilities. His teaching philosophy is centered around building inclusive communities to prevent segregating children from attending a regular classroom due to his or her disability. In addition to comprehensive education, Dr. Antony’s research interests include international issues in special education, children with disabilities from culturally diverse communities, transition issues and students with disabilities, and individuals with Cerebral Palsy in college. Dr. Antony has been invited to present internationally on topics related to special education and his research appears in self-authored books, articles and conference presentations. Dr. Antony holds an Ed.D. from Washington State University. 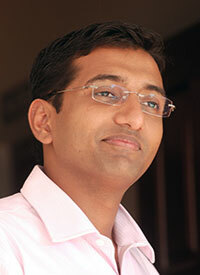 He also earned a post-graduate degree and a Master of Arts in Public Administration from Kerala University in India.